Ningbo C.S.I. 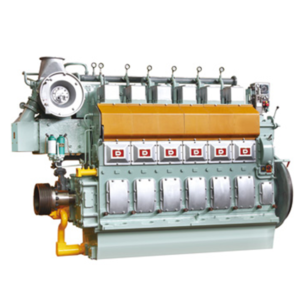 Power & Machinery Group Co., Ltd located in Ningbo, China, is major in medium speed high power marine engine and stationary power plant equipment with capacity of 300,000㎡ factory. Technique and innovation equip the perfect diesel engine design/analysis system, advanced CNC machine and inspection equipments, the products quality of brand Ningdong is guaranteed developing continuously. The enterprise’s main products consists of ten series medium speed diesel engines with bore size of 160mm~340mm, output of 184kW~4500kW and annual production of 3000MW.